Kent Julian has worn many hats throughout his career. He’s been a youth pastor, a meeting planner, a youth speaker, author / co-author of seven books, and now, a corporate speaker. Making the transitions needed to pull off a multi-role career isn’t easy. But, if there’s anyone who can do it, it’s Kent. Kent has seen the stage from many angles which gives him a “big-picture” vantage point of what it means to have a successful speaking career. In this episode, Kent talks about how it all comes to together. How did Kent get started as a youth speaker? “If you can speak in front of young people, you can speak in front of anyone.” It can be challenging to reach a student group…but when you do reach them, it’s phenomenally rewarding. What are some of the challenges of marketing to a youth market? Revolving door marketing strategy…what is that? Here’s a solid tip- bring value early on in the client interaction! Kent goes back to his days as a youth pastor in which he also had to play the role of meeting planner. He talks about the difference between the speakers he would never hire again versus those that he couldn’t wait to work with again. What are the parallels between a youth and corporate audience? How does Kent know when he’s nailed it with an audience? 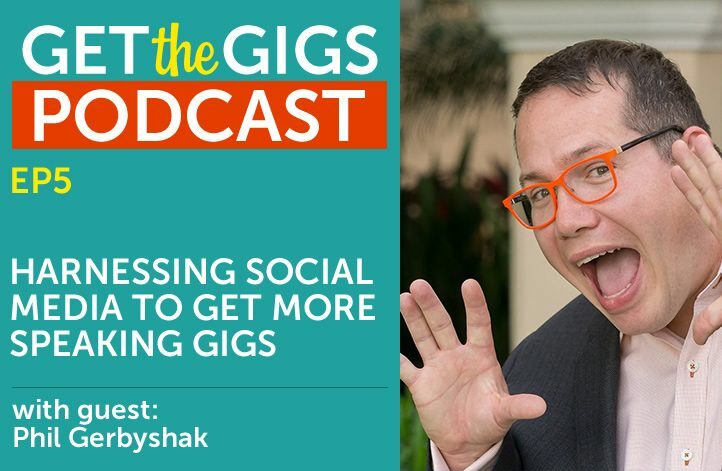 What are 3 things speakers can do to get more gigs? Don’t forget to submit your questions for my upcoming Q&A episode. Leave a comment or shoot it to me via email at derek@getthegigs.com. What do the early days of a great speaking brand look like? Stephanie Melish, the Double-Tall, Non-Fat, No-Whip Sales Barista is a sales coach and keynote speaker. 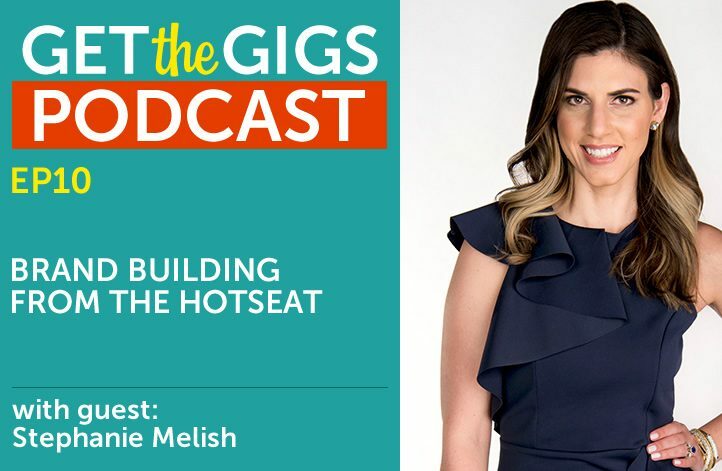 Stephanie talks about how she built her brand and shifted from a successful fundraiser and Gitomer Certified Coach to an up-and-coming speaker. Towards the end of the show, I actually put Stephanie on the hot seat to discuss her brand building and website. Is Stephanie a coach who speaks or a speaker who coaches? Does it even matter? Stephanie talks about how her unique job interview with Jeffrey Gitomer changed opened her eyes to new possibilities. What were some of the early game-changers for Stephanie? I completely butcher the title of Gary Vaynerchuk’s book Jab, Jab, Jab, Right Hook. Snapchat? Maybe it’s time for me to take a look at that? What is working for Stephanie’s brand? What does she struggle with? Stephanie mentions a blog post from Sylvie McCracken- The 5 key mistakes that entrepreneurs make when hiring help. What is Stephanie’s greatest asset for her brand? What are the next steps for Stephanie? Stephanie talks about how she manages her branding team. 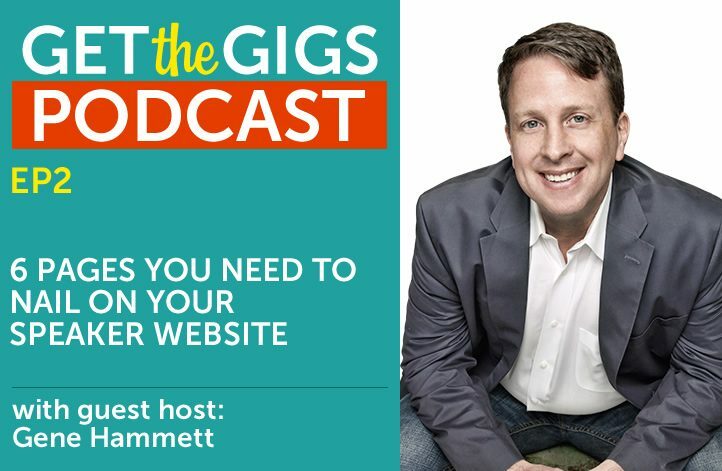 Also, don’t forget to send me your questions about speaker websites, branding, and marketing so I can answer them on a future episode of the Get the Gigs podcast. Hey…you know who I appreciate? You! I appreciate you for listening, subscribing, and reviewing the show. I couldn’t do this without you. It makes sense that someone with a career like Benji’s would be an interesting and lively podcast guest. Benji Bruce has been on stages since he was 10 years old. Benji mixes his mentalist and mind-reading performance with solid ROI for his unique brand of infotainment. 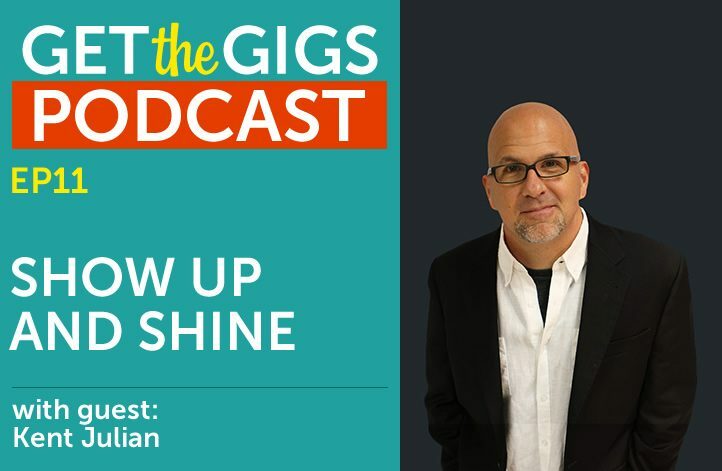 Benji drops by the show to talk about his journey from a young performer to a sought-after speaker and speaking coach. Benji talks about his early days on the stage and how being a child performer has instilled a sense of comfort with being on stage. The age-old question, to cuss on stage or not to cuss. When did Benji make the decision to go from performer to speaker? What did he do to make sure there was plenty of ROI in his presentations? Benji offers his take on what makes a good speaker website. Find out how a brush with death at an early age changed Benji’s outlook on life. In hindsight, maybe I should have asked Benji to read my mind. Beni really does video well. On both of his site, I highly recommend watching a few of his videos. One last thing…I’m working on something that I think will be pretty cool and I need YOUR help. 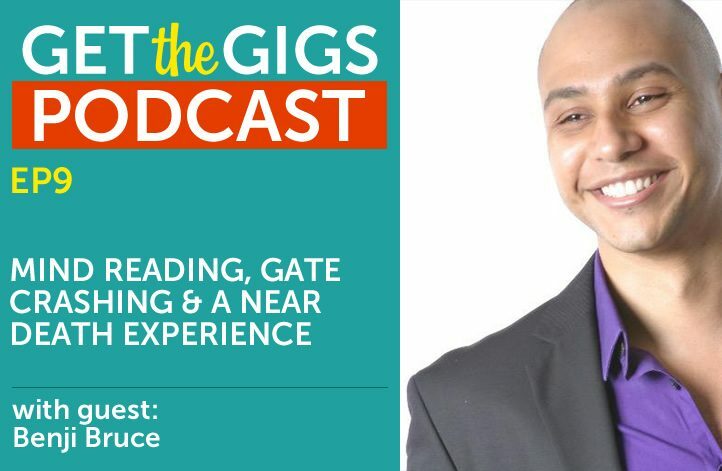 I’m putting together a Q & A episode of the Get the Gigs podcast. If you have some question that keeps you up at night regarding speaker websites, branding, or marketing, then I want to know about it. Any way you decided to get me your question is fine. You can leave a comment below, email me at derek@getthegis.com, Tweet me at @getthegigs or shoot it to me on Facebook. I’ll take the best questions and compile them into a Q & A-filled episode. Sometimes we overlook the potential in the moments that are right under our nose. If there’s one thing Lou Heckler is great at, it’s finding the teaching potential in everyday, normal, moments. 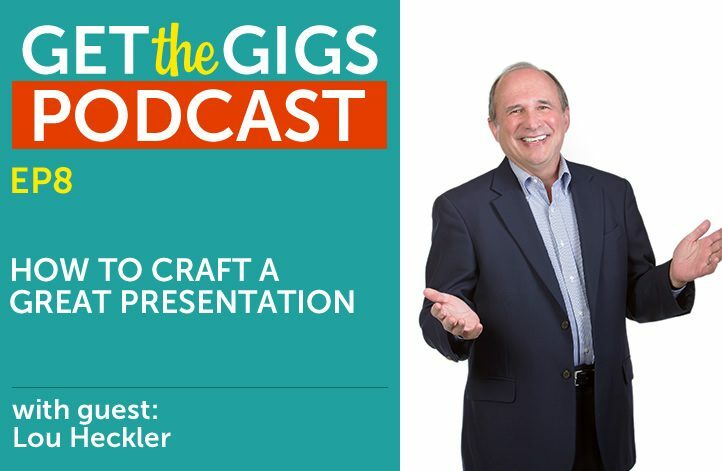 In addition to being a veteran of TV and radio and a Hall of Fame speaker, Lou is also a speaking coach who helps speakers hone their presentation skills. Lou weighs on what makes good presentations, particularly, the little things that we can do to make an audience connect with us. How can you drag out something that’s really interesting about yourself and use it in a presentation? What are some of the biggest presentation mistakes that Lou often sees? What does Lou do to push himself? What can you do to tie your presentation back to your brand? It is possible to learn how to be funny and add that humor to your presentation. There are opportunities to enhance our speeches with humor and stories everywhere. We just have to be observant. Make sure you visit louheckler.com and check out the coaching services that Lou has to offer. If you haven’t already done so, please subscribe to the show via iTunes. While you’re there, why not leave me a review? Subscriptions and reviews are the lifeblood of any podcast. The reviews, in particular, help get the show to more ears and they let me know how I’m doing. Do you have a speaking advantage or do you have an UNFAIR speaking advantage? 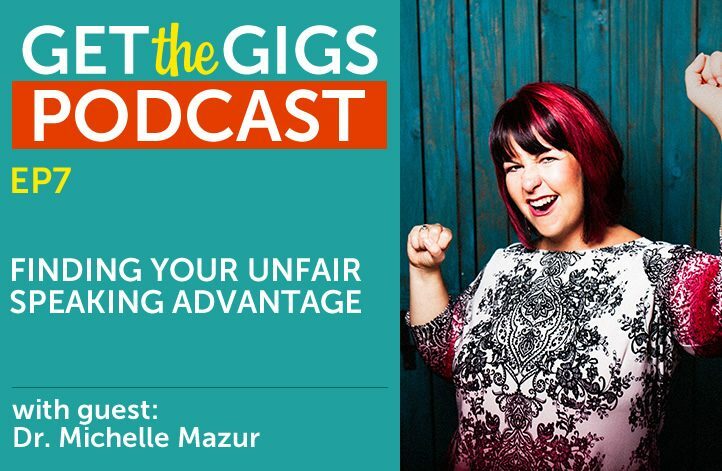 Dr. Michelle Mazur of Communication Rebel drops by to talk about finding your unfair advantage. Michelle’s journey as a speaker started in a high school speaking class. Despite being a mediocre speaker at the time, Michelle made an effort to improve her speaking skills and make speaking a cornerstone of her career. From there, Michelle went on to earn a Ph.D. in Communications and worked briefly as a communications professor for the University of Hawaii. Today, Michelle is a speaker with over 10,000 public speaking hours under her belt. She also coaches speakers through her company Communication Rebel. Michelle has shown hundreds of speakers how to find their unfair speaking advantage. Some of the DUMB advice for speakers that Michelle has heard over the years. Michelle is a big fan of Sally Hoghead’s “How to Fascinate” system. Sally’s system highlights 7 styles of communication and helps you find your strongest style. What does an unfair speaking advantage look like? In other words, what’s that .01% that makes you stand out? We talk about Michelle’s website which is brimming with personality. There’s more of that “branding with a capital B” stuff. Remember that episode? Brand damage? That sounds bad! Stand out or don’t bother. Make sure you check out Michelle’s site. Finally, I issued a call to action at the end of the episode. What’s your greatest strength as a speaker? How can you leverage that to your advantage, particularly in your website and marketing? If you haven’t done so, please subscribe to the show via iTunes. While you’re there, leave me a review. The reviews help get the show to more ears and they let me know how I’m doing. Personality! It’s a big part of building and maintaining a personal brand. For over twenty years, Michael Hoffman has been helping companies build sales, radically shift their culture, develop their leaders, and engage employees in delivering true customer service. Right off the bat, you’ll notice Michael’s big, funny, and energetic personality. Michael dropped by to talk about how he infused his company, Igniting Performance, with humor and personality. Michael talks about his early days as a speaker and how he overcame some apprehension over putting his personality front-and-center. How can you balance humor with good, solid, content? What are some of the pitfalls of being seen as a humorist? What are some of the things that Michael does to keep growing his business and personal brand? Who are some of the names in the speaking industry whom Michael looks up to? Michael shares how he’s built and refined his content over cups of coffee with friends. 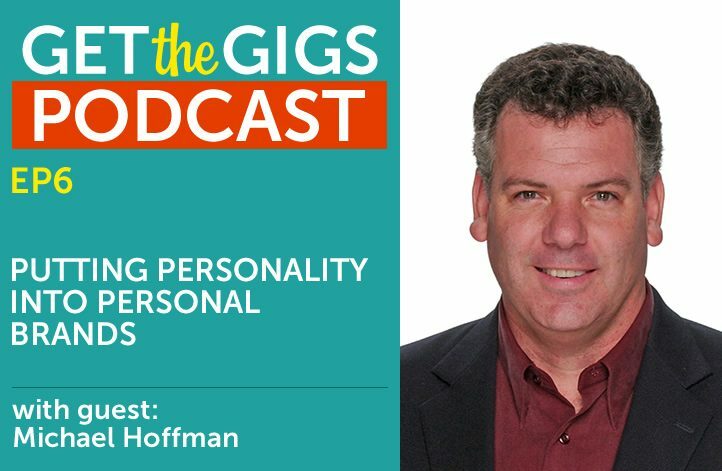 How can speakers tap into their “real” personality? Michael loves being known as the “Tornado Guy”. How can we claim that one thing that makes us who we are in our personal branding? Michael discusses how he uses his Cup of Hoff segment to extend his message from the stage and add an extra layer of engagement with his clients. Make sure you check out Michael’s site: Igniting Performance. While you’re there, check out some of Michael’s videos. I promise it will be worth your time! If you haven’t already done so, please subscribe to the show via iTunes. While you’re there, I’d love it if you leave me a review. The reviews help get my show out there and the feedback really helps me fine-tune things. Thanks for listening! Social media … it’s a big, untamed, and potentially intimidating world. It’s also a world that’s full of potential when it comes to networking and getting more speaking gigs. We know about the potential because my guest has been getting the most out of social media for years. Phil Gerbyshak is a speaker, trainer, author, and social media advocate. How can you deliver a relevant social media message? How can you use social media as a networking tool? How can you use social media to be seen as a thought leader? When do you for ask for the sale versus asking for a conversation? Phil offers some valuable insight on tempering expectations. Should we really compare our social sharing content to light-hearted viral content? What is the difference between and engaged social audience versus one that is just massive? Email lists- Social media can be a great way to build your list. You can use social media to package yourself as a potential solution. What are the 3 categories of people you will interact with on social media? Finally, we have a real conversation about being real. Authenticity is a big part of social media. How can we make sure that we’re sharing the right kind of content? Where is the fine line between sharing and oversharing? How can we be clear about what we’re selling? Hey, speaking of social media, if you get some value out of this episode, chances are someone else will. Would you mind sharing this? Also, if you haven’t subscribed to the podcast yet, you can head over here. While you’re there, it would be great if you could leave a rating and review. The reviews help me with valuable feedback on how I can make the show better and helps promote the show. Speaker Branding With A Capital B! What are some must-have branding elements for a wealthy speaker? My guest wrote an entire book about it! Jane Atkinson is the author of the Wealthy Speaker 2.0 and the Epic Keynote. She is also a speaker coach and former speaker agent with over 25 years experience helping some of the biggest stars in the speaking industry. 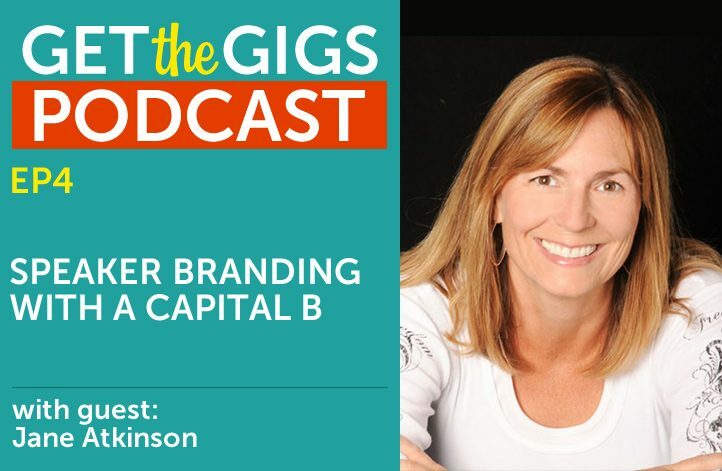 Jane drops by to discuss speaker branding…but not branding in the typical sense, branding with a capital B. Who are you as a speaker? Who do you serve? Why is it so important to get really clear about these things? Jane shares her expertise on some of the brand and website foundations that can really propel a speaking career to the next level. Promise statements: Find out why promise statements are the cornerstone of a good speaking brand. Also, what should you do when you struggle with crafting your promise statement? Picking a lane: In other words, we can’t be all things to all people, so we have to know who we are and what target audience we serve. This is a big part of a speaker’s brand. Jane weighs in on how picking a lane can set the groundwork for a good brand. Lisa Ford: Jane mentions Lisa as an example of a great, simple, promise statement. I agree! Patricia Fripp: Jane also mentions a turning point in Patricia’s speaking career. Speakerlauncher.com: This is Jane’s base of operations. You can learn all about Jane’s services, find her books and listen to her excellent podcast. I did have one request at the end of the show. Since the overarching theme of this episode is clarity, I want to know, what are you really clear about? Make sure you leave a comment below or shoot me an email at derek@getthegigs.com. https://www.getthegigs.com/wp-content/uploads/2016/08/NEW-jane-atkinson.jpg 471 722 Derek Hart https://www.getthegigs.com/wp-content/uploads/2018/06/GTG-w.png Derek Hart2016-08-09 17:34:202018-07-08 21:31:26Speaker Branding With A Capital B! 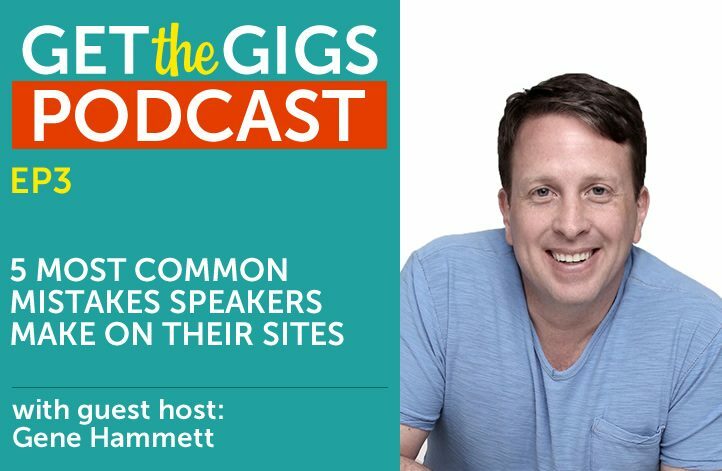 Here’s the bad news … most speaker websites have at least one serious issue that’s hurting that speaker when it comes to getting booked. Now for the good news … if you fix these website issues, you’re on track with some serious potential for separating yourself from the pack. Want EVEN MORE good news? Fixing these issues doesn’t have to be an intimidating ordeal. You just need to know what to fix. My friend and business coach, Gene Hammett is back as guest co-host for another foundational episode. We’re going to focus on the five biggest mistakes we see speakers make on/with their websites. These are issues I see come up over and over with speaker websites. We’re not here to bag on anyone, we just want to highlight some of the pitfalls that many speakers fall into at some point. Clarity: How can we avoid being vague and confusing? Style guides: What are they and what are they good for? Good design vs. bad design: What are some of the tell-tale signs of bad design? Also, how do we avoid the “ransom note” look? Mobile layout: It’s kind of a big deal! I promised a quick video to show you how you can test your site’s mobile layout so here it is. Also, I recently got a chance to ask Scott Stratten, of UnMarketing, a question on Facebook Live. I asked him what he thought was the most common mistake speakers make with their websites. What was the answer? Click play to find out! I have one last request. Let me know what you got out of this episode. Hopefully, it spurred you to take action and fix those nagging issues that keep a website from being as good as it can be. Also, is there some topic you would like to hear covered on the show? Drop me a line and tell me all about it. How many website pages do you need to have a high-converting speaker website? It might be a lot fewer than you expect. In fact, most of the really good speaker sites are lean, with less than 10 pages that are all hyper-focused. In this episode, we’re sharing a simple 6-7 page framework for a smart speaker site. We’re also going to discuss how you can nail each of those pages. Episode two is a foundational episode. My hope is that this can be something we can refer to throughout the course of the podcast, and something that provides a lot of value. I’ve brought in my friend and business coach, Gene Hammett, as a guest co-host. We flip the script a little and Gene interviews me. Promise statements: How can you leverage the “what you do” and the “who you do it for” to bring clarity to your speaker site? Above the fold: What the heck does above the fold mean? Here’s a hint, it’s an old newspaper term that refers to the most important content. Is above the fold still relevant as a web design concept? If so, what items should you make sure appear above the fold? Video: How important are videos and where will they make the most impact on your site visitors? Testimonials: We talk about a good strategy for getting the most out of client testimonials. Also, we share one simple thing you can do to make your testimonials stronger. Use the Jetpack plugin to check your site stats. Jetpack is a very versatile and easy to use plugin for WordPress. One of Jetpack’s functionalities is the ability to check your site stats from your WordPress Dashboard. This tutorial shows you how to do that. We mentioned Ryan Estis’s website as a great example of how to make use of photography and video.